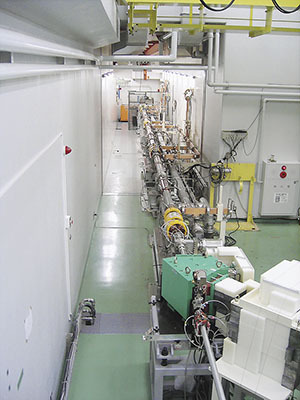 The linear accelerator is installed in Laboratory for Electron Beam Research and Application, LEBRA. It can accelerate electrons up to 100MeV (99.9987% of light speed). Free Electron Laser (FEL) and Parametric X-ray Radiation (PXR) is generated using electron beam accelerated by the accelerator and provided to various field researchers such as material, biology, medical and dentistry.